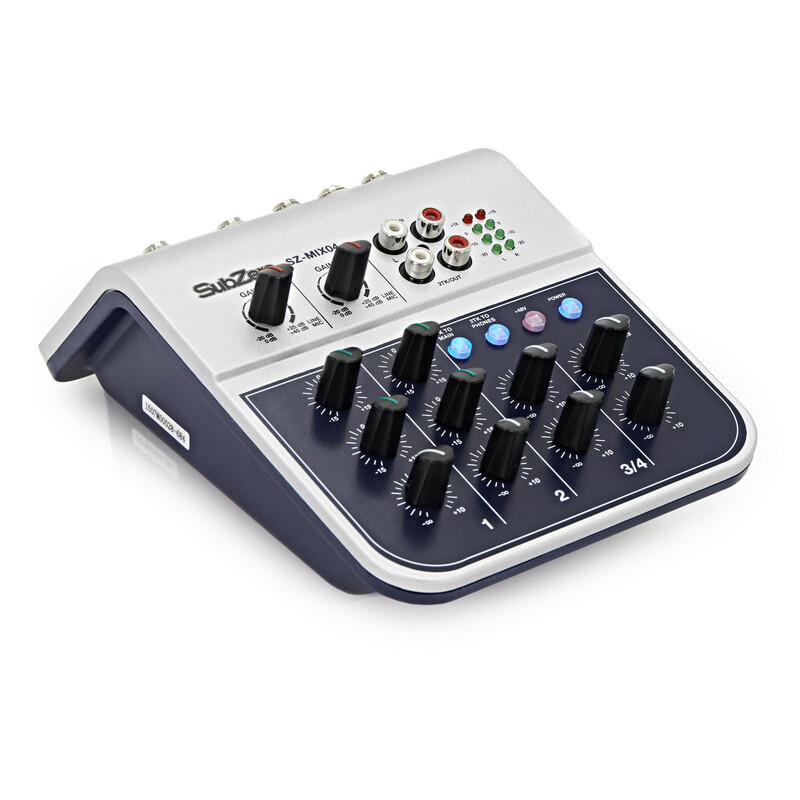 The Subzero SZ-MIX04 4-Channel Mini Mixer is our most portable and compact mixer, with a whole host of versatile inputs and outputs as you would expect on a standard sized mixer. The tiny size is perfect for a beginner looking to expand their set up or a traveling soloist looking for a small but reliable mixer. 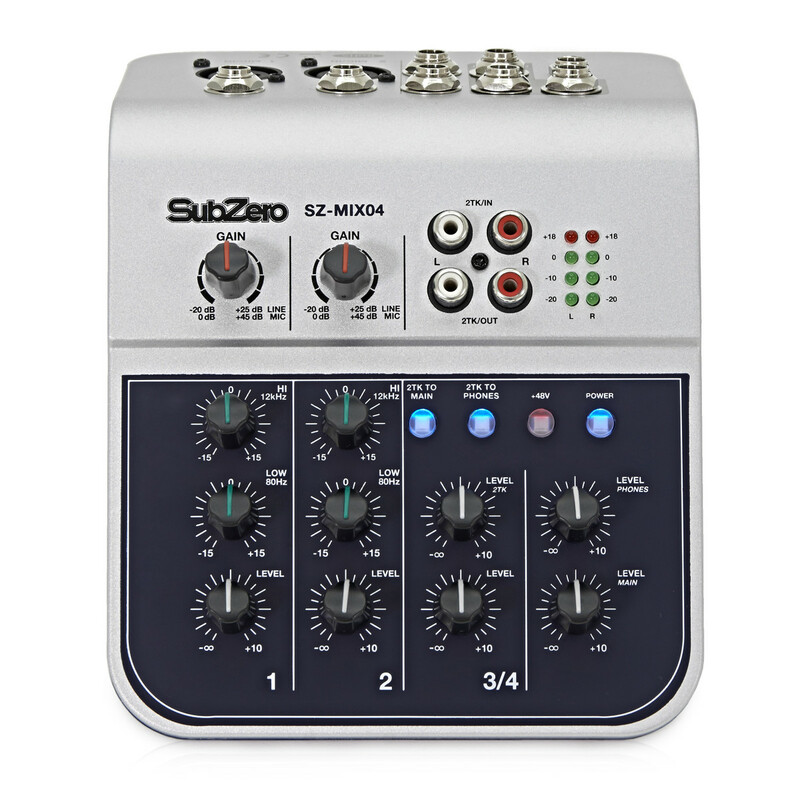 The SubZero MIX04 4-Channel Mini Mixer is a premium quality compact 4 track mixer with 2-band EQ, phantom power, and a range of input types; including XLR and jack. The mixer also includes RCA inputs, which can be assigned to either the main out, or the headphone out, making it perfect for using as a channel for a click track or a personal drum monitor. Despite its small size, this mixer has all of the features you need. 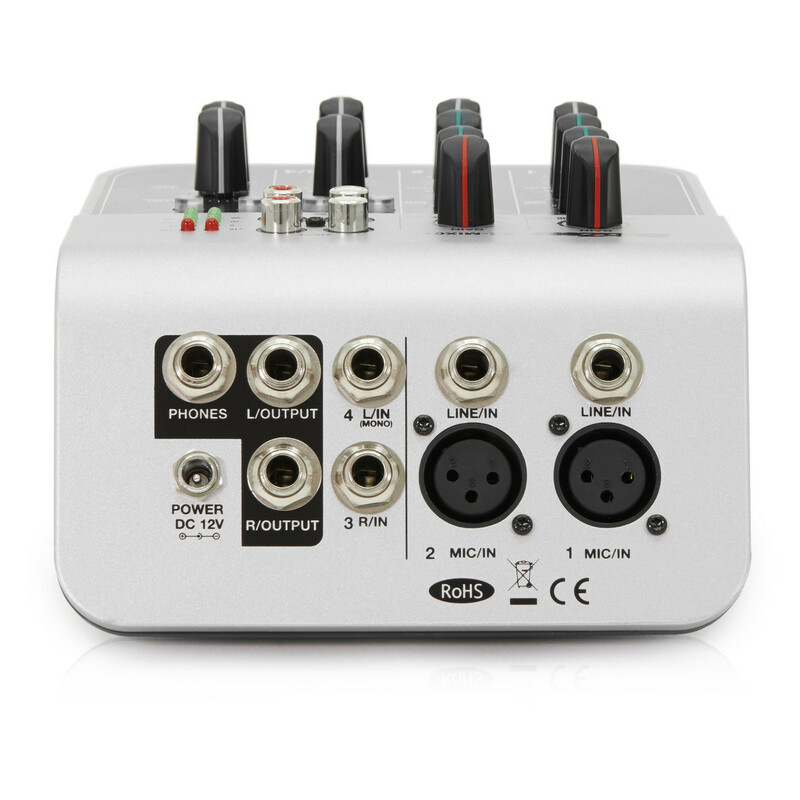 It has 48V phantom power which can power condenser microphones, as well as dynamic microphones, with a discreet pre-amp with less than 0.08 total harmonic distortion which means the mixer is capable of reproducing high quality audio. Jack Line Inputs: 2 x 1/4"
SubZero's wide range of instruments represents the latest in innovation and versatility, offering high grade components and quality craftsmanship at an affordable price. Drawing inspiration from boutique designs, SubZero has created a series of affordable, reliable and modern instruments, offering high quality gear for the modern musician. With a full range of audio equipment including Amplifiers, Speakers, Mixers, PA, Microphones and Electric Guitars; SubZero products feature the same attention-to-detail that one would expect from any high quality audio manufacturer. SubZero is proud to deliver the ultimate in value, looks and cutting edge sound.